But if he gets too close to fierce, determined Tory, Josh knows his nights are going to be anything but quiet. And that’s one possibility no amount of training can prepare him for . . . The best in the series! Great Finale to the Series! This is not your standard “damsel in distress” story! Victoria Langford Is a strong woman, with a career and an adorable daughter she is raising alone after the death of her husband and mother in a car accident years earlier when Ivy was a baby. However, a chance meeting with Damon at a club starts a brief relationship with him that seems to be a dream, a second chance at love. But once engaged to him, the relationship devolves into a nightmare filled with brutality and obsessiveness. Fleeing Damon and Arizona, Tory hopscotches around the western part of the country, landing north of Dallas, Texas at Josh McCain’s ranch. Josh is fighting his own nightmares from his military tours overseas. He is just looking to build up Iron River Ranch and find the elusive peace of mind and soul. And he knows that the pretty woman hoping to snag the stable hand position at the Ranch will bring something other than peace to his doorstep….. Wow! Talk about a roller-coaster ride! The thrills are real and they are chilling; somehow, knowing who the “bad guy” is in this story only ratchets up the horror quotient, for Damon is evil personified. Josh is exactly the hero you want in a romantic suspense story: flawed but honorable, with a scarred and cranky shell covering a strong and tender heart. As I said in the beginning, Tory is a strong woman who fell for a man with a pretty facade that hid a dangerous, twisted psyche. Her actions at the Ranch and with Ivy and Josh just show how strong she is; she is a worthy heroine! And her daughter Ivy will just pull at your heartstrings. 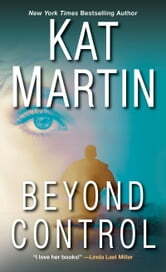 To add the the enjoyment factor, the secondary characters are wonderful; Ms. Martin does not shy away from the tough topics like PTSD and the aftermath of war, as shown by Josh’s ranch-hands, wounded veterans like himself. Their struggles will tug your heartstrings as well. We also get a visit in with Josh’s brother Linc and Carly from “Beyond Reason” and glimpse their continuing HEA. It was the perfect wrap-up to the Texas Trilogy Series! I really enjoy her books, it is hard to put them down. Busy but good this story had a Tory Ford running with her young daughter from an abusive ex-fiancé and finding sanctuary and protection on Josh Cain’s ranch. Neither is in the right headspace to have a relationship but as time progresses they get to know and admire then care for one another. 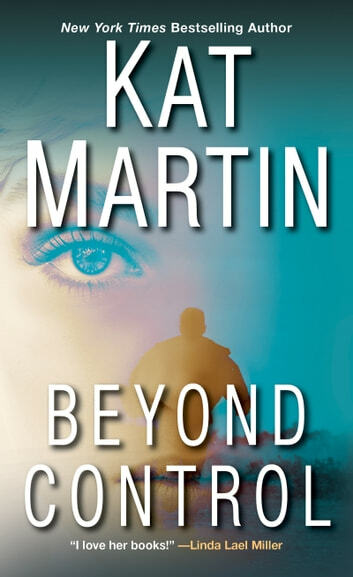 This book had much going on with the abusive ex, a potential serial murderer on the loose, arson, a terrorist or two to deal with, an motorcycle club element and then of course the romance along oh and a secondary romance, too. That said, it was handled well and I cared about the characters and hoped they would get their happily ever after. I truly enjoyed this book and the first in the series and wonder just how I missed the first one. I am looking forward to reading more by this author in the near future. Thank you to NetGalley and Kensington-Zebra for the ARC – this is my honest review.